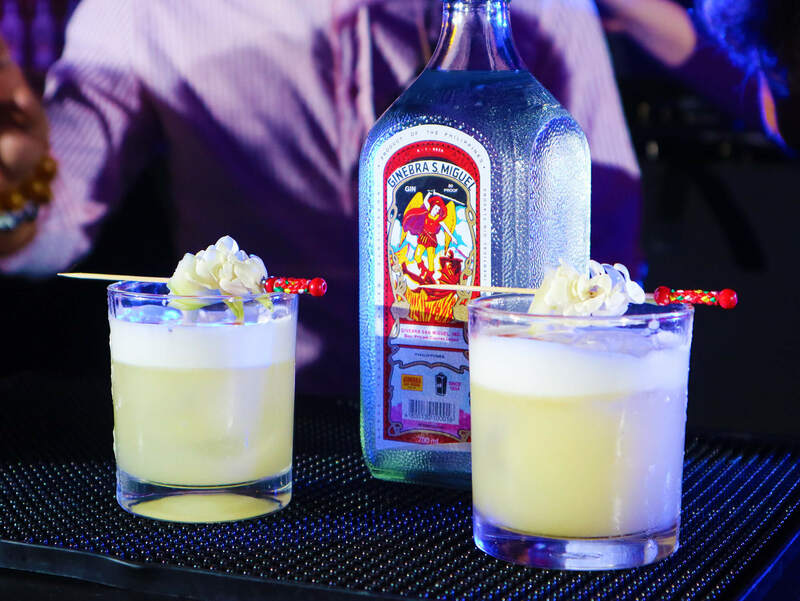 Love for gin is something that the Philippines shares in common with the world. 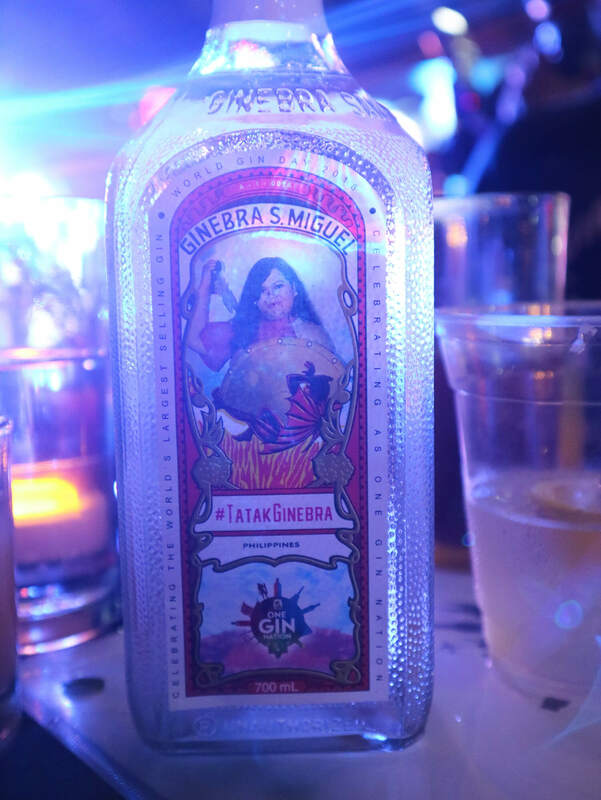 Now on its 10th year, we celebrated World Gin Day 2018 as ‘One Gin Nation’ with the country’s pioneering spirit, Ginebra San Miguel. A celebration of camaraderie, good food, and awesome spirits, this year’s festivities was one not to be missed. TARA, TAGAY NA! I guess it’s a known fact that Filipinos love their alcohol. Celebrations, whether big or small, in metro cities or far-flung barrios, are meant to be enjoyed with spirits. In fact, our drinking culture is so strong that we even have the concept of “tagay”. 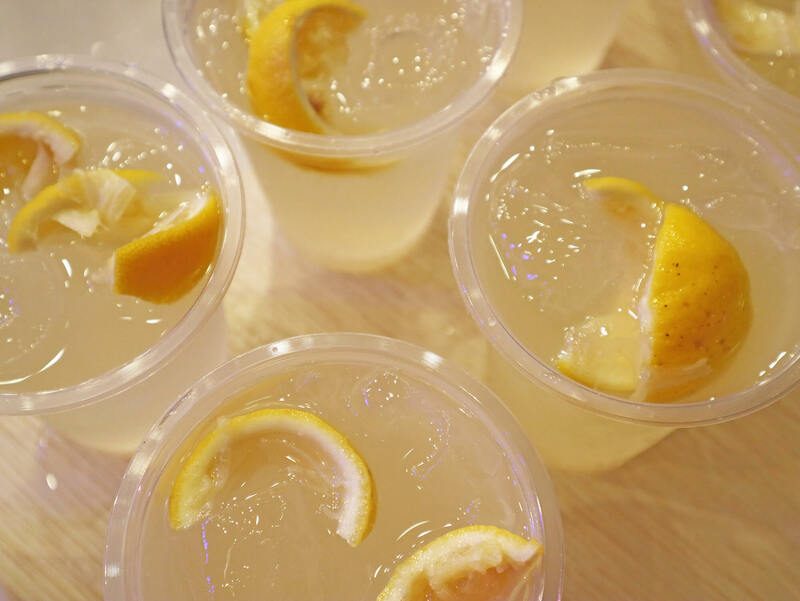 Unique to Filipinos, it’s a fun way of drinking gin where one drinks from a common glass and passes it on to be refilled for the next round. And for 184 years now, Filipinos have been enjoying the distinct taste and quality of Ginebra San Miguel. 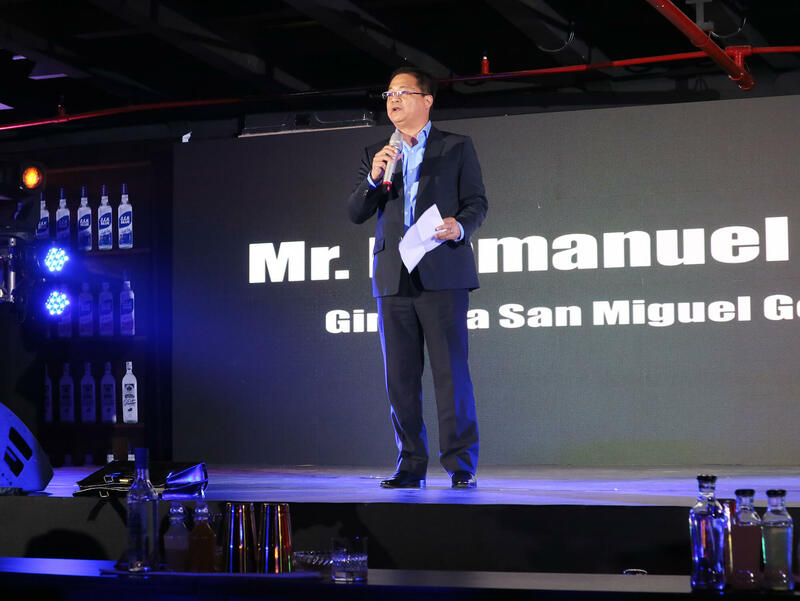 From its humble beginnings in a small distillery in Manila, to becoming one of the country’s most respected brands, Ginebra San Miguel has solidified itself as being integral to the history and culture of the Philippines, and the story of the Filipino people. 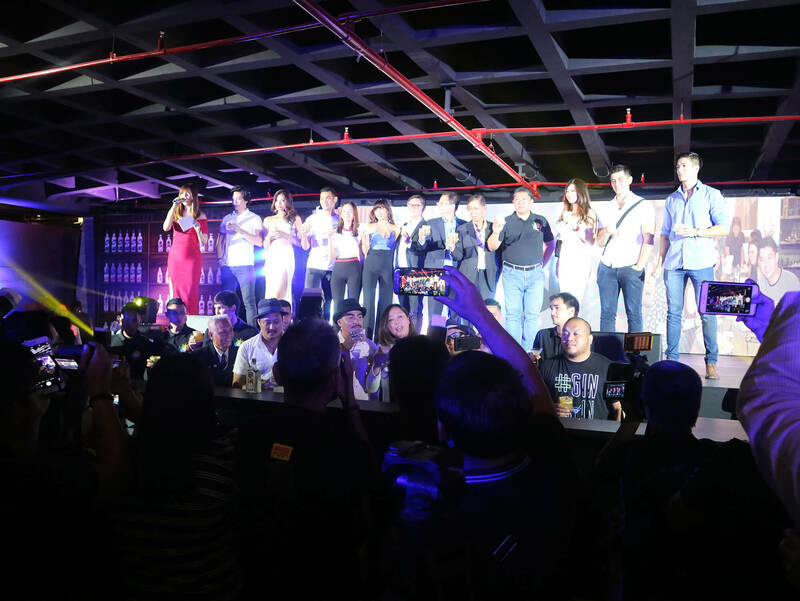 To kick off World Gin Day 2018, Ginebra San Miguel has gathered some of the country’s top master mixologists, a highly-acclaimed chef, popular celebrity performers, and a nation of gin lovers in one big celebration. World Gin Day 2018 PH was held at the Axon in Green Sun Hotel Makati yesterday, June 7, 2018. Officially, World Gin Day will take place on June 9, 2018. 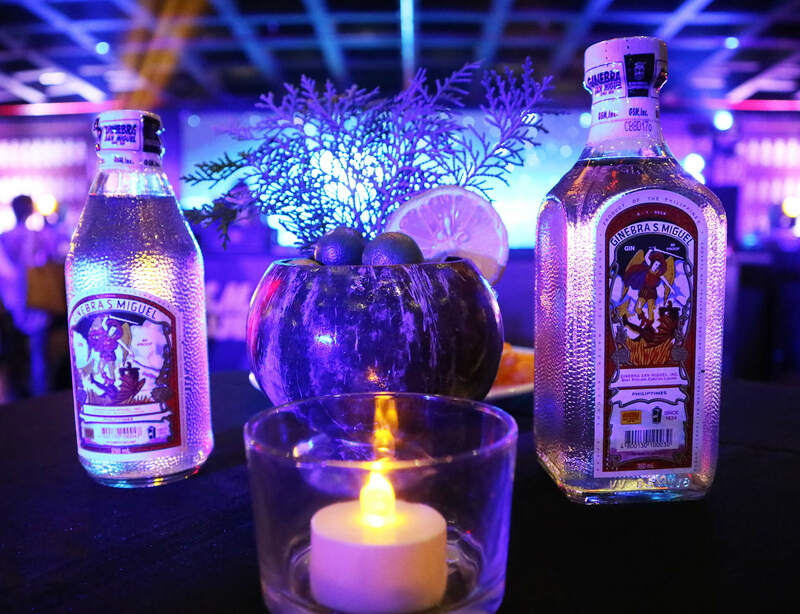 But we were lucky enough to get a headstart on all the festivities prepared by Ginebra San Miguel. 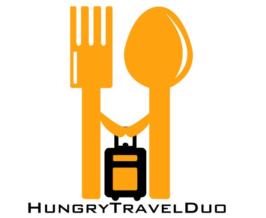 As GSM took guests on a “ginstronomic” and a gastronomic tour of the Philippines. The event started with a thirst-quenching display of awesome bartending skills. 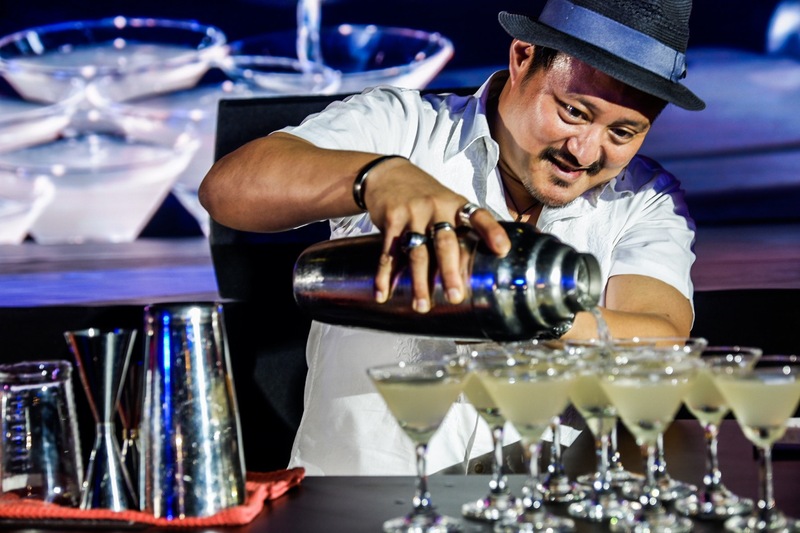 Master mixologists Enzo Lim, Kalel Demetrio and Icy Mariñas created special Ginebra San Miguel cocktails to represent the country’s three main island groups. Kalel Demetrio’s “Quatro Katipunero Sour”. First up, Liquido Maestro Kalel Demetrio created the “Quatro Katipunero Sour”. Basically it’s a cocktail that incorporates the four dominant Luzon ingredients that he loves to use: kamias, sampaguita, labuyo, and calamansi. It was a myriad of sweet, sour, and spicy flavors with a soft but distinct taste of the sampaguita. For Visayas, spunky mixologist Icy Mariñas crafted the Cebu mango-based “In It to Gin-It” cocktail with flavors of sinamak vinegar, peanut kisses, and Leyte pineapple. This was by far my favorite as it just had the right balance of punch and sweetness I crave for in a drink. Lastly, Enzo Lim made the Samal Beach Cocktail. A cocktail fusion of Pinoy flavors with Davao pomelo as its dominant taste as a representation of Mindanao. Unfortunately, I didn’t get to taste this one but it did look delicious and thirst-quenching. All of these concoctions were, of course, prepared using Ginebra San Miguel, GSM Blue Light Gin and GSM Premium Gin as base. 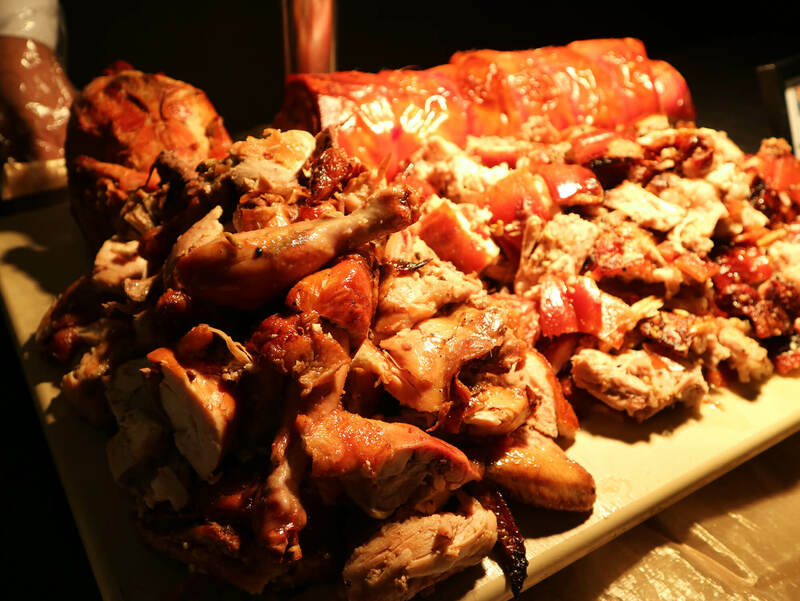 To creatively pair with all bottomless spirits, rockstar chef Rolando Laudico prepared a sumptuous “pulutan” feast for all guests. A creative play of words, Chef Lau’s cocktail menu included the “Nilasing na Sisig”, “Chicken Ginasal Wrap” and “Spicy Tuna Ginilaw”. All similarly used Ginebra San Miguel, GSM Blue Light Gin and GSM Premium Gin as ingredients. Talk about GIN-ception, right? After their demos, the three rockstar mixologists were also at the judges’ panel for “Mixologist Showdown”. 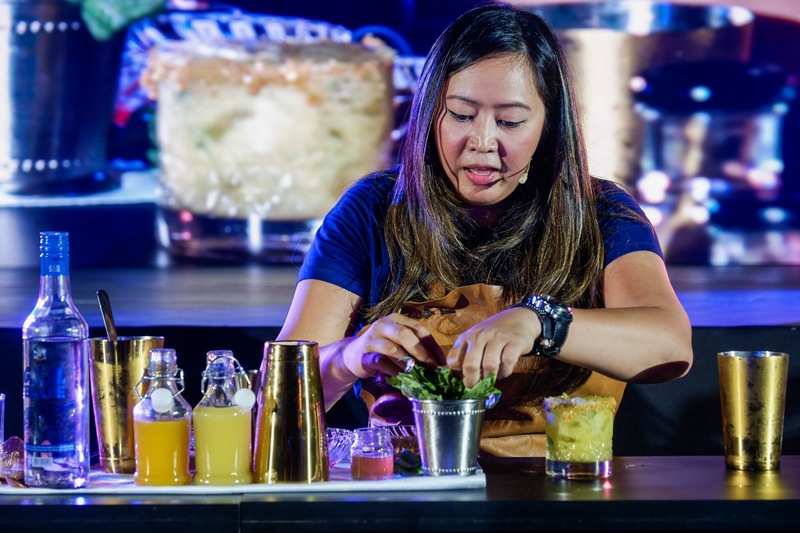 It’s a contest where the country’s 5 best bartenders whipped up signature cocktails using unique and indigenous ingredients that captured the spirit of the Philippines as One Gin Nation. Of course, no party will be complete without fun people, right? Among the guests who graced the event were famous personalities like dancer/director Gab Valenciano, Mr. World Philippines 2016 Sam Ajdani, and all-around vlogger Vince Vandorpe. Travel and beauty vlogger Angel Dei Peralta, and international model couple/reality TV stars Chelsea Robato and Christian Busby also joined the festivities. 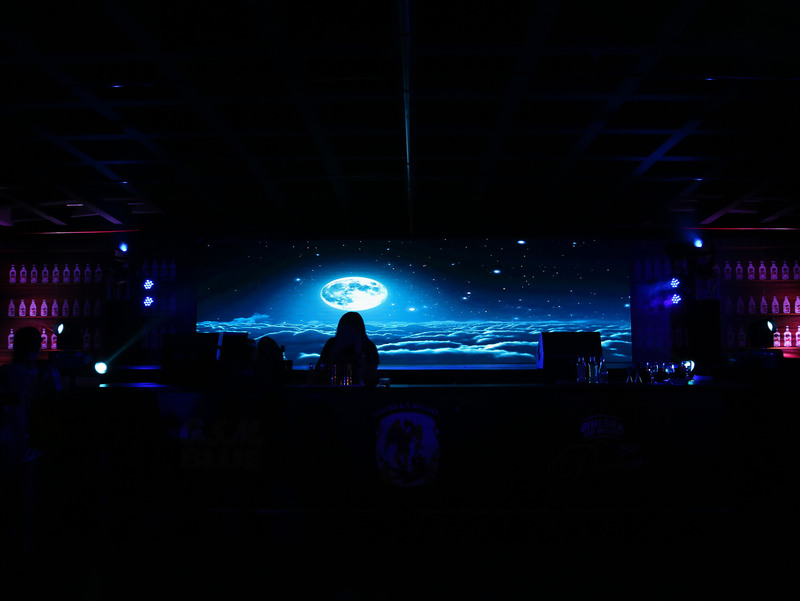 To turn the party up, there were also performances by GSM Blue endorser Myrtle Sarrosa, singer/songwriter Quest, and Europop Festival Gold Medalist Ana Ramsey. Karla, Raina, Miguel and I on the other hand, enjoyed hanging out at Bar 1834 because of the Mixology 101 class. As well as the photobooth where we got the chance to have our photos taken and be printed as stickers for our personalized GSM bottles to take home. SUPER COOL!! 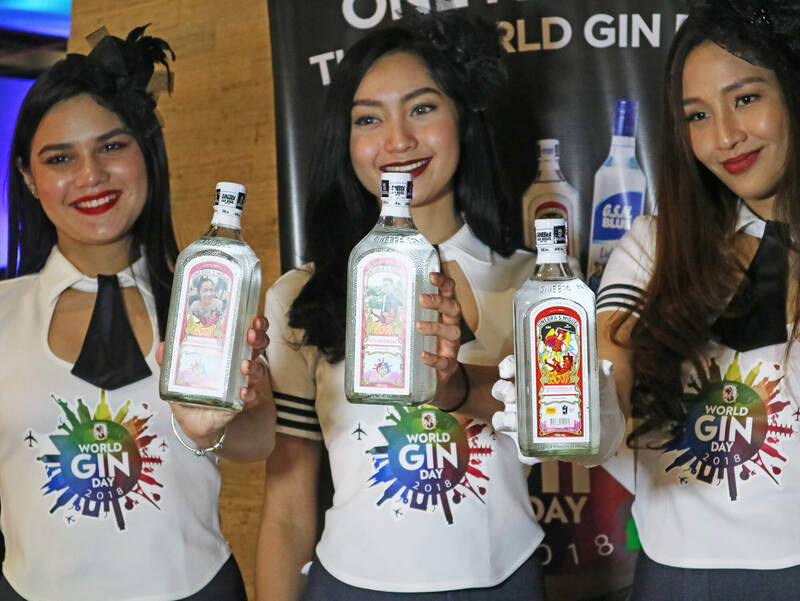 World Gin Day 2018 celebrations in the Philippines were also held in Cabanatuan, Cebu and Davao. GSM offered the Gin O’ Clock promo across elected bars and establishments. Now on its 10th year, World Gin Day was founded by British blogger Neil Houston and is celebrated every 2nd Saturday of June. 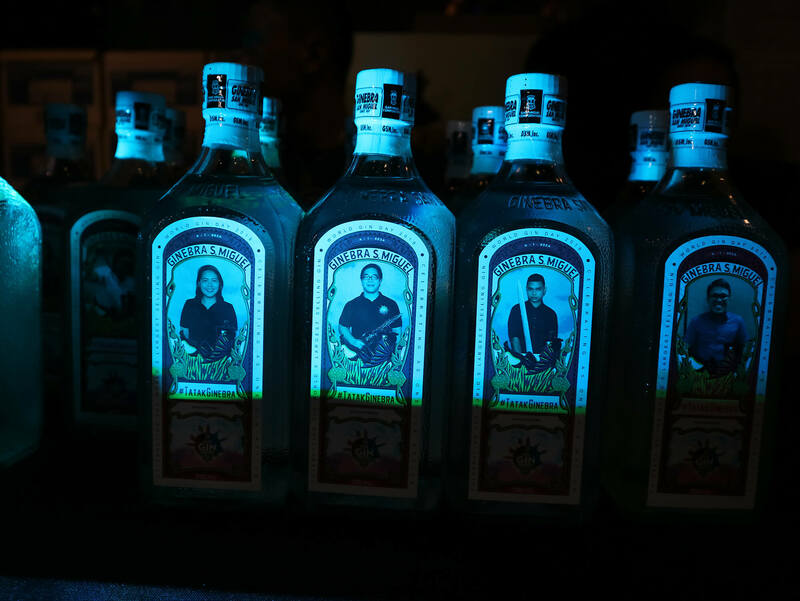 What started as a day to bring his friends together to drink gin has grown into a worldwide celebration. World Gin Day 2018 events will also be held in the UK, Australia and the US. Here in the Philippines, World Gin Day was first celebrated in 2014 coinciding with the celebration of Ginebra San Miguel’s 180th anniversary. This was highlighted by the launch of a travelling exhibit showcasing the brand’s colorful history and rich heritage. Ginebra San Miguel Inc. (GSMI) is the producer of the world’s no. 1 selling gin Ginebra San Miguel. As well as other quality liquor products including GSM Premium Gin, GSM Blue, GSM Blue Flavors, Antonov Vodka, Vino Kulafu, Don Enrique Tequila, Añejo Gold Medium Rum and Primera Light Brandy. Definitely for keeps! My personalized GSM bottle! HOW COOL IS THAT? ?